Over the past decade, the notion that health and technology doesn’t mix has been widely challenged. Healthtech is now a booming industry, set to continue its rapid expansion due to our ageing population. In fact, research by Deloitte has shown the UK market for digital health is expected to grow to almost £3bn this year alone. 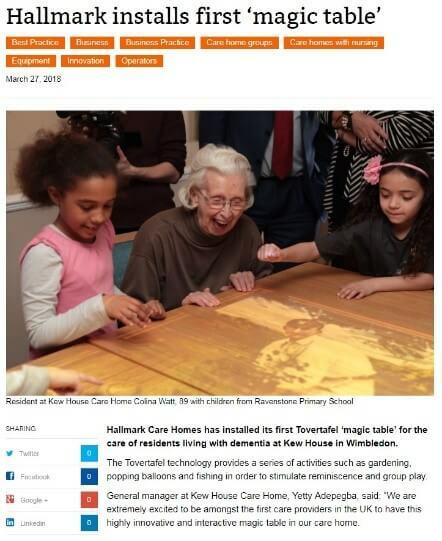 With healthtech on the rise, a key aim for us at PHA has been helping our clients get in front of the right audience – be it care homes, hospitals, or everyday consumers. 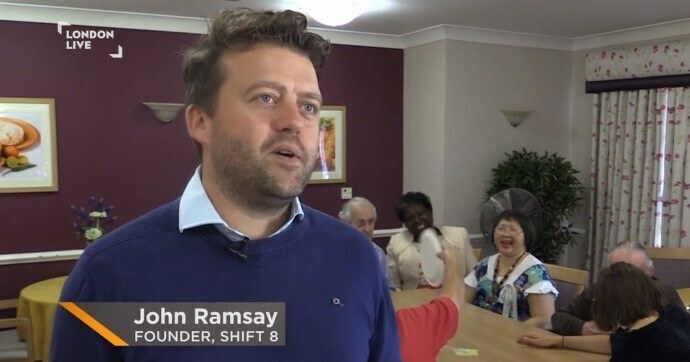 One of our key clients in the healthtech space is Shift8*, the company bringing the Tovertafel™, or ‘The Magic Table™’ as it is commonly known, to the UK and Ireland. 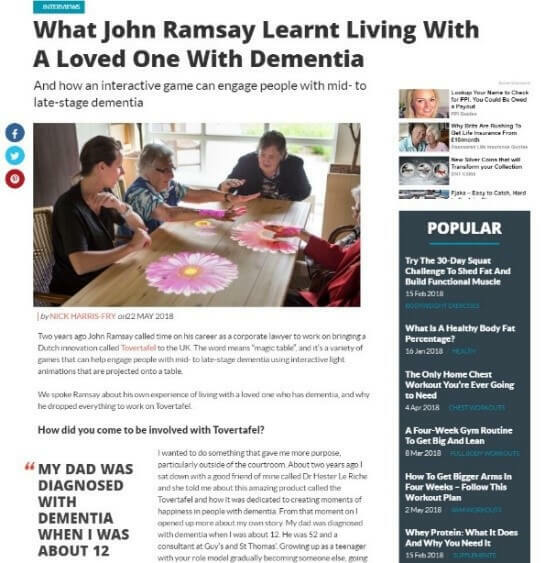 Tovertafel™ is a series of award-winning games from the Netherlands, aimed at those living with mid-to-late stage dementia. 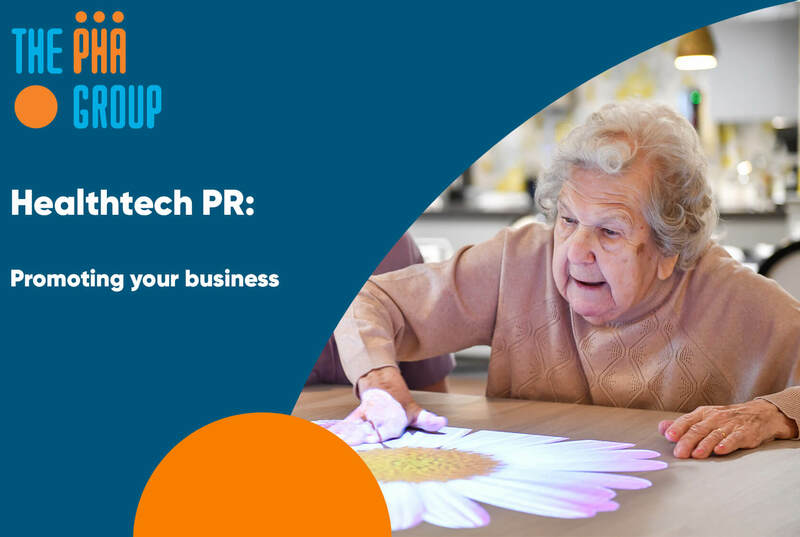 Working in tandem with Tovertafel™’s business goals, we devised a PR strategy which would ensure the product was at the forefront of healthtech debates, and ultimately, in front of the right audience. 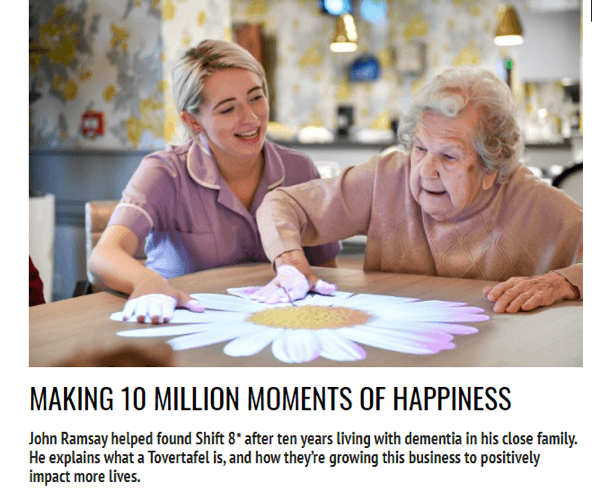 Working with the co-founder, John Ramsay, who had left his career at a corporate law firm to pursue this social enterprise, we were able to share his story across the mainstream press, using his personal story as a way to hook in key audiences and raise awareness of the amazing work they are doing. 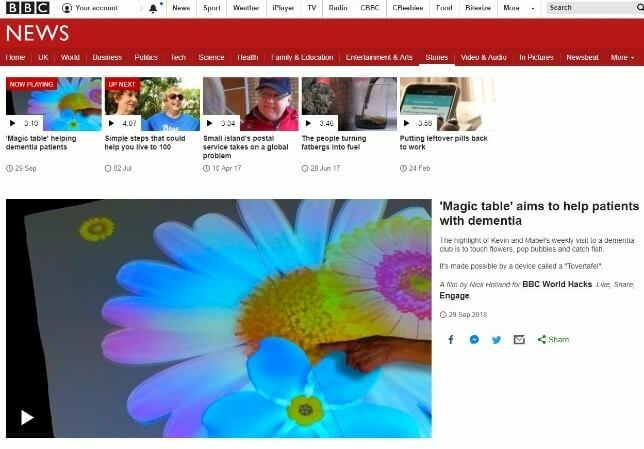 Using key awareness dates, such as World Alzheimer’s Day in September, we hijacked the news agenda, raising awareness of the Tovertafel™ technology and putting its impact at the forefront of media conversations. 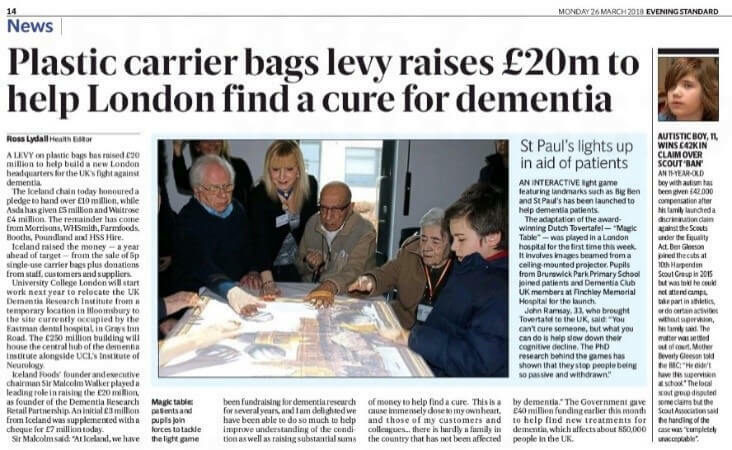 As Tovertafel™ is an extremely visual product, we wanted to showcase this through the coverage we secured. We worked with the team to secure a bank of photography to ensure our coverage was bringing this to life. Inviting key journalists along to see the technology in action was also a key strand of activity, particularly as it is such a visual product, and one which sparks an emotional reaction for both the users and those who witness it in action. In almost a year, we’ve secured 65 pieces of coverage in the national, regional and trade press. 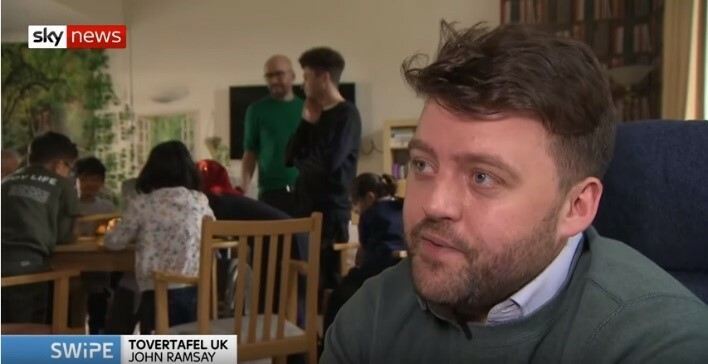 Top national coverage included filming opportunities with BBC News, Sky News and London Live, as well as articles featured in The Daily Mail, The Spectator, HuffPost and GQ. A few pieces of top trade coverage included Saga, Care and Nursing Essentials and Retirement Matters. Interested in hearing about how we might be able to help you promote your healthtech product or service? Speak to a member of our award-winning technology team today.